Fits perfectly for the size. The tailoring is good and in perfect condition. I was glad I got this dress and would get it again. I would encourage someone to get it if you keep a few things in mind it IS a risk, that you won't like it, it won't fit, etc. Order in plenty of time for your wedding and maybe have a backup plan. These ARE inexpensive dresses, so expect some hanging threads, etc. Nothing you can't take care of with some scissors. All in all, this is a great choice for the budgetconscious bride. I loved my dress from the moment I saw it. I had my dress custom made to my sizes and it was perfect. After ordering, it arrived in about 3 weeks, if the shipping time could be shorten a little, it would be perfect. I had so many comments on how lovely my dress was and how beautiful I looked. I felt absolutely amazing in it. 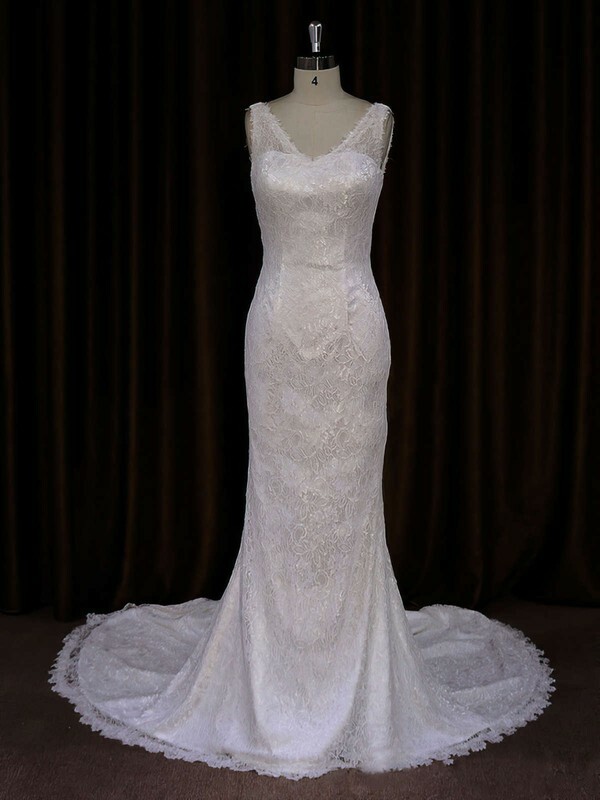 I looked long and hard to find the perfect wedding dress. I fell in love at first site with this dress. The details on the bodice are so elegant. It did need some minor alterations, but the price was incredible. Trust me the dress is stunning! The shipping took a little longer than I was told, but once I tried the dress on, it was well worth the wait! I received my dress super fast... thanks MillyBridal!! It fill me really well, the sleaves were a bit big for my liking, so I have altered them, but very true to the picture...lovely material and well made with full lining on the inside.I would recommend buying from MillyBridal as it was a great price, quick shipping and good quality! Great dress! I got custom measurements and it turned out great just need to take a little bit in at the bust. It's lined well. It's easyas to get into and feels great to more around in. Lovely design and the dress is done well. It is quite creased that is to be expected given it's been shipped. dry cleaners would be able to fix it up i think. This was a last minute purchase for my wedding and it was amazing! Great fit...it was scary ordering a dress online but the size, color and elegance was true to its value! Great dress. Received a number of compliments on this dress. it was pretty. the fabric was lightweight, which helped tremendously. When sizing the dress, follow the sizing chart as supplied for best results. It is a lovely dress. 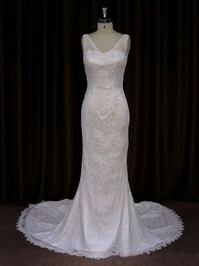 I was very pleased that I chose this as my wedding dress. This dress is absolutely gorgeous. 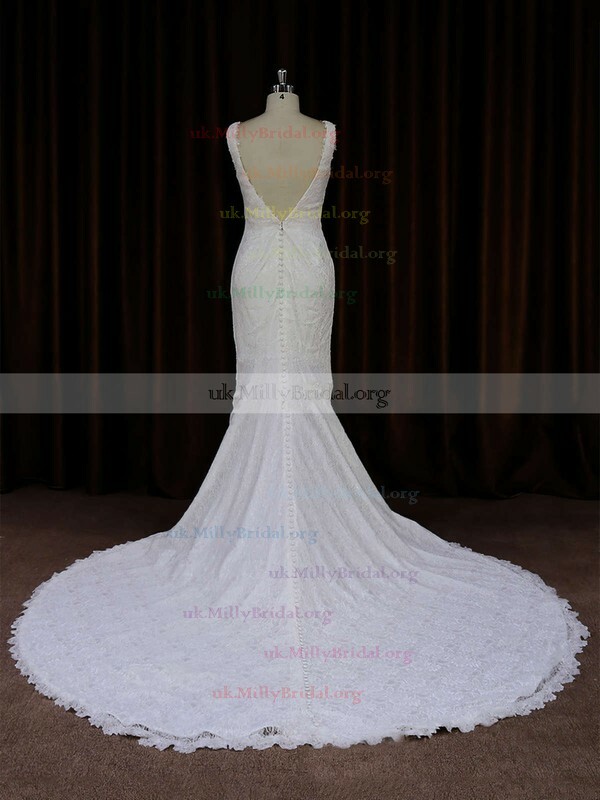 I purchased this as my wedding dress, the dress arrived on time. Very figure flattering with a nice material that is sure to turn heads when you wear it!